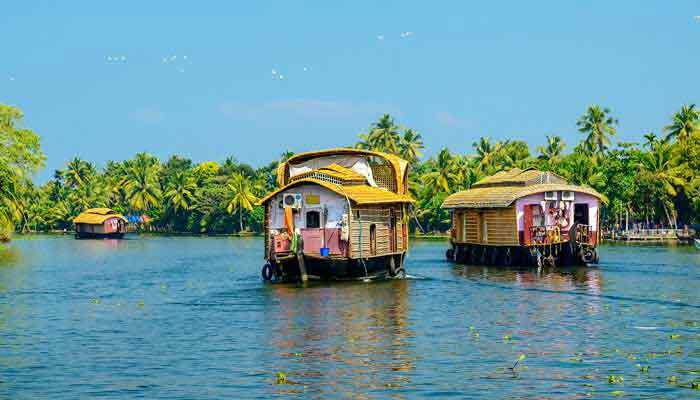 From the majestic living temples of Tanjore and Trichy, up into the hills of the Western Ghats and on to the serene backwaters of Kerala, here is a tour with a taste of South India and the chance to get up close to the culture and the natural wonders of this magical land. On arrival in Chennai you’ll be met and assisted with the transfer to your hotel. Overnight in Chennai. 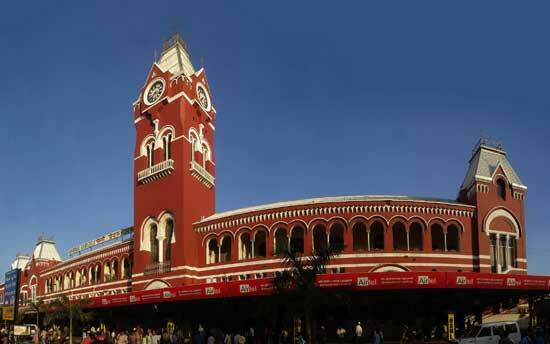 Chennai is the capital of Tamil Nadu and the biggest city in south India. 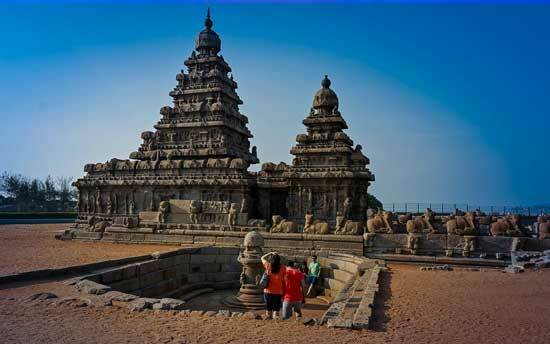 This morning you’ll be able to see some of the historic sites of the city including the remnants of Fort St George and tour the government museum, before departing for the ocean side town of Mahabalipuram, a great place to stroll on the beach, dine on delicious seafood at a beachfront restaurant or walk among the historic monuments of the town. Overnight in Mahabalipuram. Morning sightseeing tour of Mahabalipuram with a local guide, taking in several UNESCO World Heritage listed monuments and the wonderful natural rock formations around the town. 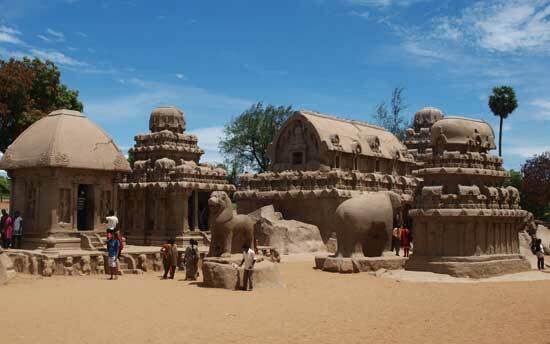 Mahabalipuram was at one time the capital of the Pallava dynasty which ruled large parts of modern-day Tamil Nadu. These Days it is a sleepy village but landmarks such as Arjuna’s Penance (the largest bas relief carving in the world), the beautiful Shore Temple and many rock cut temples make it a fascinating destination. 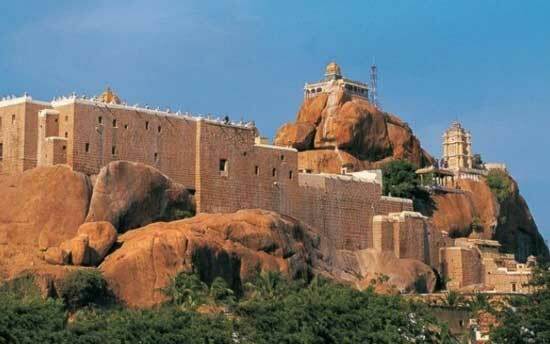 After your tour, depart for Trichy, a drive of around 5 hours through the rich agricultural lands of Tamil Nadu. Overnight in Trichy. Trichy and the neighbouring river-island of Srirangam are important pilgrimage sites with the Rock Fort temple in the city and Vishnu temple at Srirangam attracting steady streams of devotees from far and wide. You’ll be able to tour both of these temples with a guide, as well as time spent exploring the bazaar around Rock Fort, before departing for Tanjore in the afternoon. Tanjore’s Brihadishwara Temple is one of the most spectacular sights in Tamil Nadu and the best time to visit is at sunset. Tanjore is also a great place to explore in a largely tourist-free environment. Overnight in Tanjore. A guided tour of Tanjore in the morning before departing to the Chettinad region to arrive in time for lunch. 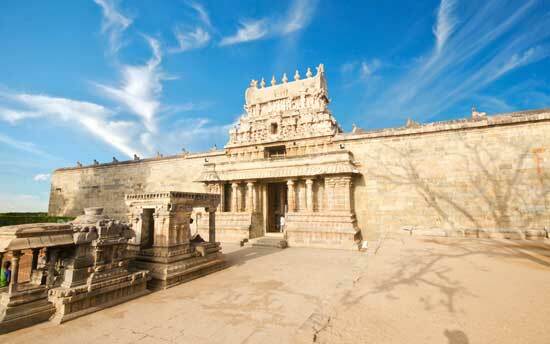 Chettinad is something of a world apart and a truly unique destination. The merchants and traders (the Chettiars) who hailed from this region amassed significant fortunes throughout the 19th and early 20th centuries from their roles as bankers and business go-betweens for many of the empires from both East and West which traded in south India during that time. Many of them poured their fortunes into building remarkable homes- some over 40000sq ft and with dozens of rooms and many courtyards. Chettinad is also famous for its unique cuisine which known for complex flavours and innovative use of ingredients. 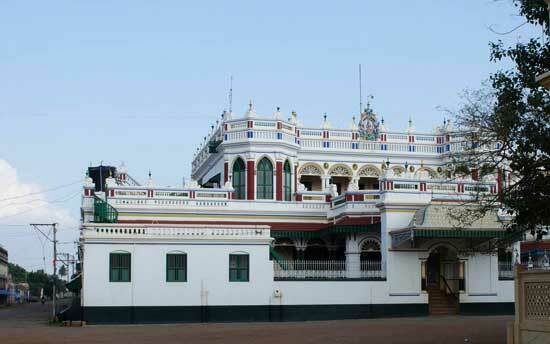 Overnight in Kaanadukathan, Chettinad. A full day in the Chettinad region to visit the local markets and temples, observe the local craft of tile-making, ride around the village by bullock cart, and explore the district headquarters of Karaikudi. There are not many ‘interesting’ villages which offer top class accommodation in this part of India, making Kaanadukathan. 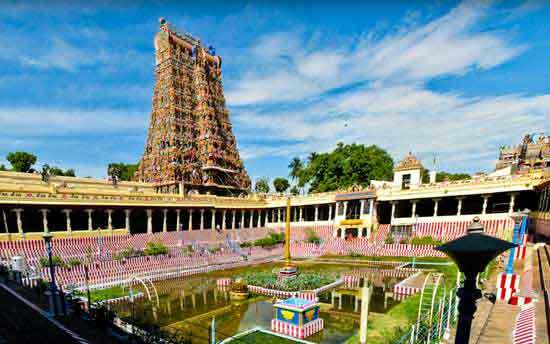 Depart Chettinad after breakfast and drive 2 hours to Madurai, where you can tour Sri Meenakshi Temple and Nayak Palace in the afternoon. 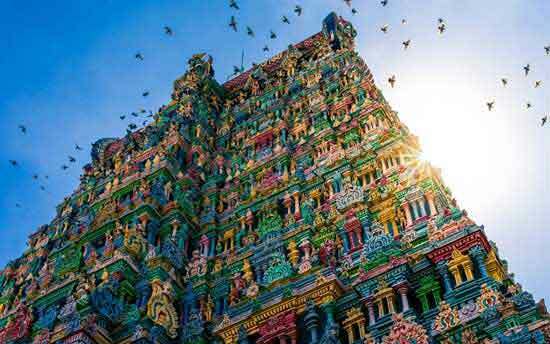 Meenakshi is perhaps the most famous and popular of the major Temples in Tamilnadu and its location at the very heart of Madurai makes this bustling city truly a Temple Town, no matter how modern parts of it are becoming. The temple draws visitors from all over India and is not just a place of devotion but a market place and social hub for the city. At the end of each day the temple is closed at the end of a wonderful procession through its innermost sections. This closing ceremony is well worth staying out late for. Overnight in Madurai. Early morning start for our own Vanakkam Madurai walking tour, exploring the city as it wakes up in the hours right around sunrise. This is a unique way to experience another side of bustling Madurai, while much of the city is still sleeping. A Morning drive of 3 hours to reach the village of Thekkady and neighbouring Periyar Wildlife Sanctuary by lunch time. 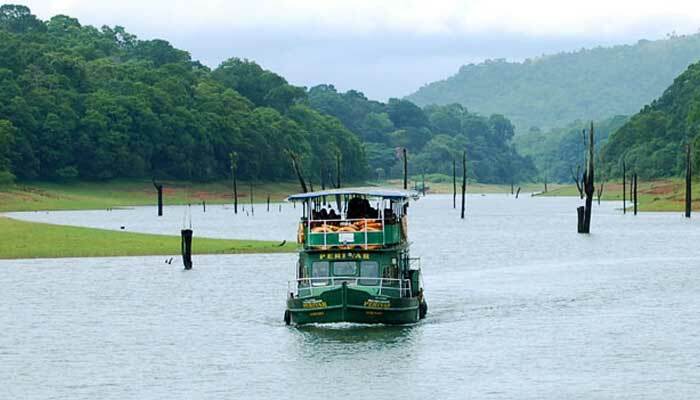 There are several ways to explore the Wildlife Sanctuary - popular options include an afternoon boat ride on Periyar Lake and the excellent 3-hour guided nature walk which offers excellent opportunities to see some of the smaller mammals and the many birds which live in the forests around the lake. Overnight in Periyar/Thekkady. Time in the morning for a tour of a spice plantation, along with the opportunity to feed and bathe an elephant before heading down the Ghats to Varkala and the golden sands of the south Kerala coast. 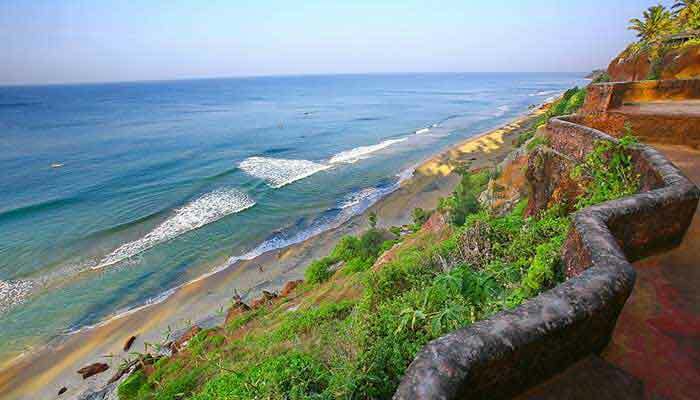 This is a longish drive through some beautiful scenery - you will reach Varkala in the late afternoon. Overnight in Varkala. Perfect beaches, towering cliffs, a bustling village and serene coconut groves are all part of the Varkala experience- today you will have a full day to explore Varkala or do nothing more than laze on the beach or beside the hotel pool with a book and a drink. Overnight in Varkala. 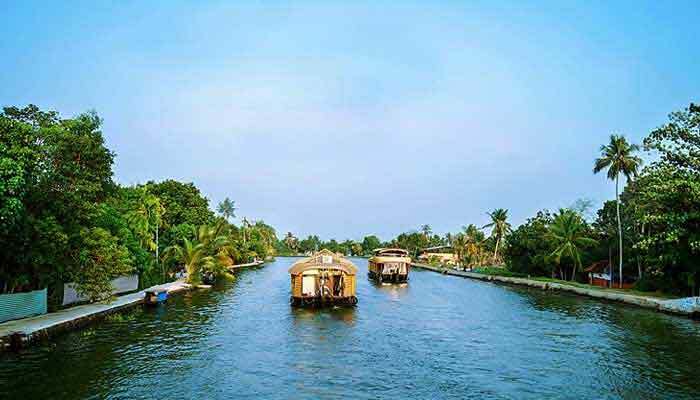 After breakfast and a leisurely morning around your accommodation, return to Alleppey and drive 90 minutes to Cochin. 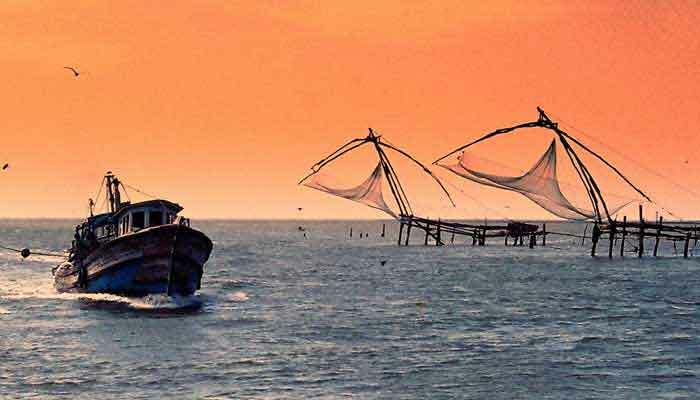 The most historic port in south India, Fort Cochin is a treasure trove of old buildings, intriguing markets and disparate cultural elements reflecting the myriad influences which have impacted on the city over the past 5 centuries. 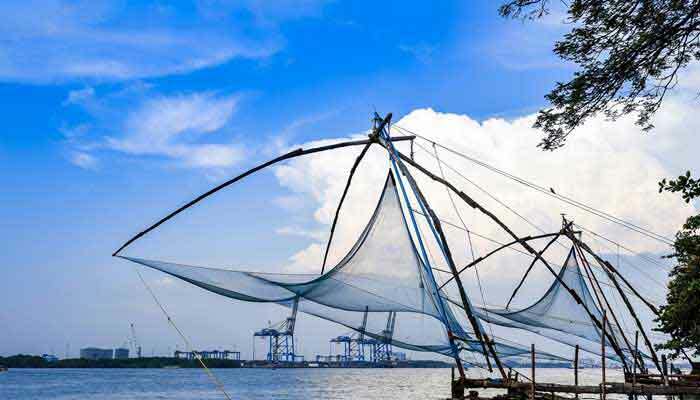 You will have the afternoon free to explore the area on foot, before a cruise on Cochin Harbour at sunset. Overnight in Fort Cochin. A full day of sightseeing in and around Fort Cochin and Mattancherry taking in India’s oldest synagogue and nearby Jewtown precinct, the Chinese fishing nets and attendant fish market as well as historic churches and the unique Dutch Palace which has recently been renovated and is a great place to learn about the history of Kerala. In the evening attend a Kathakali Dance performance, Overnight in Fort Cochin. A full day of travel starting with the drive to Coimbatore in Tamil Nadu before heading to Coonoor high in the Nilgiri Hills. 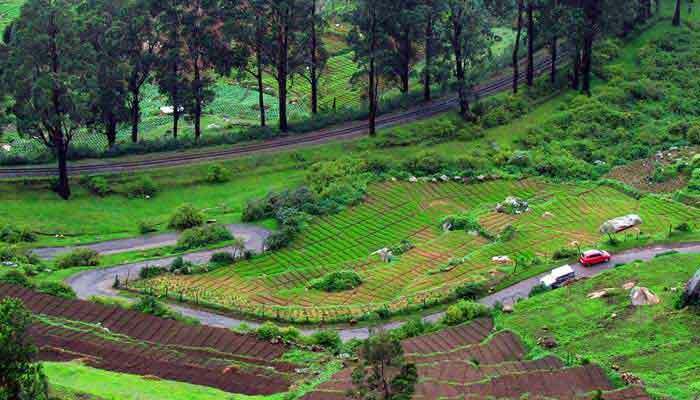 From here you will be able to ride the UNESCO World Heritage listed Mountain Railway to Ooty, the most famous and picturesque hill station in the south. Overnight in Ooty. Time in the morning to explore Ooty and relive the Raj era in this historic town before an afternoon drive to Mysore in Karnataka. Mysore is one of the most popular destinations in the south of India and with good reason - it offer s superb shopping, some fascinating sightseeing, great markets and - if you’re in the city on a Sunday evening, the opportunity to join the throng of locals who gather to watch the impressive sight of the lights being turned on at the Mysore Palace - all 97000 of them! Overnight in Mysore. Sightseeing in and around Mysore including the Sultan’s Palace, Somnathpur temple. and the hill temple at Chamundi. 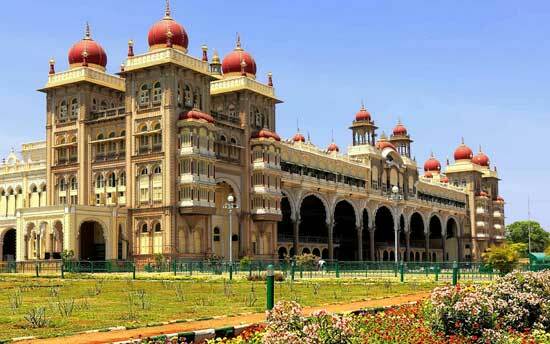 A city with a rich history, Mysore has been a seat of power for many centuries. Time will also be available for an exploration of the wonderful flower market in the centre of the city. Mysore is famous for sandalwood products, incense production and weaving. There are also nice options here for walking and cycling tours. Overnight in Mysore. 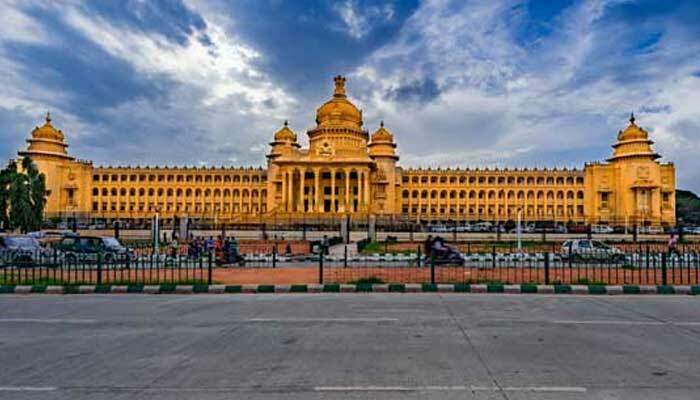 Free time for exploring the fabulous shopping bazaars of Mysore before driving via Srirangapatanam to Bangalore for airport transfer and departure in the evening.